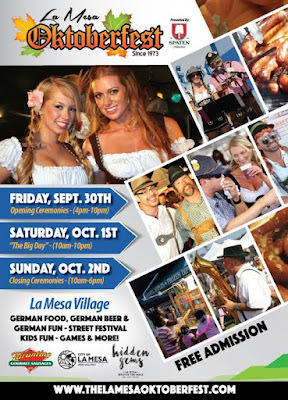 The Bob Stall Chevrolet La Mesa Oktoberfest street festival, presented by Spaten, takes over La Mesa Village from Friday, September 30 through Sunday, October 2, offering a free-to-attend weekend dedicated to family fun, authentic German food, beer and entertainment. 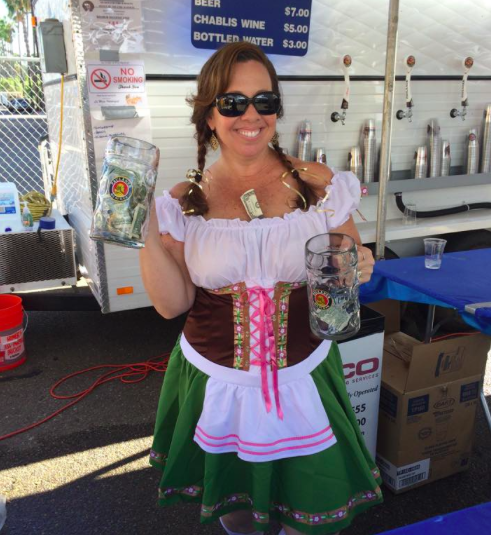 The La Mesa Oktoberfest weekend festivities will kick when La Mesa Mayor Mark Arapostathis is joined by the Oktoberfest Meister to officially tap the first keg. The two will toast to the official start of the event, celebrating with lights, music and confetti cannons, which will blanket partygoers in a sea of confetti. New features to this year’s event include new traditional German beers, including Spaten, the world’s first Oktoberfest beer. There will also be new food vendors featuring traditional Oktoberfest favorites and a fully decorated and Oktoberfest stage with tents for shade, additional tables, umbrellas and chairs. Embracing a traditional Munich Oktoberfest format, there will also be games, dances and competitions, and an entertainment line-up with German-themed bands. 91x radio will also host a Twisted Pretzel Biergarten, featuring local beers, wine and a DJs spinning popular, contemporary mash-ups. Participants can compete in stein holding, sausage tossing and sauerkraut eating throughout the weekend. Food lovers and beer aficionados will enjoy eating and drinking their way through the event, which will include Oktoberfest beers and food favorites such as bratwurst, knockwurst, sauerkraut, German potatoes, pretzels, goulash, rotisserie chicken, pork chops marinated in beer, coleslaw and more. Vendors also will have a variety of American-style food for sale. La Mesa Oktoberfest is happening in the La Mesa Village on La Mesa Boulevard between Spring Street and 4th Street in La Mesa, and will take place on Friday, September 30 from 4-10pm, Saturday, October 1 from 10am-10pm and Sunday, October 2 from 10am-6pm. Parking is limited, so public transportation and car share is encouraged. Admission to the event is free. For more information and the complete entertainment line-up visit TheLaMesaOktoberfest.com.